Lycoming College has joined the Cultivation to Cup (C2C) network and partnered with Golden Valley Farm Coffee Roasters (GVF) and Parkhurst Dining, to offer Warrior One, its very own brand of coffee. Warrior One is an organic, shade-grown coffee from the Las Lajas farm in Costa Rica. “The partnership that made Warrior One possible brings great coffee to campus, supports sustainable agricultural practices that protect the environment and benefit poor farmers in the developing world, and supplies funding for educational programs for our students,” said Caroline Payne, assistant professor of political science. Beginning homecoming weekend, Oct. 24-26, Warrior One will be available for purchase from the Lycoming College Streeter Campus Store in twelve ounce bags and recyclable single-serve beverage cups of medium or dark roasts. Warrior One can also be purchased from the Streeter Campus Store's website. It will also join the list of organic, shade-grown Golden Valley Farm coffees served at Lycoming’s Café 1812 and will be served at all catered college events. The sale of Warrior One, and the other Golden Valley Farm coffees, will result in directed donations from the roaster back to Lycoming College. 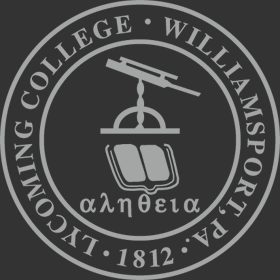 Those funds, along with revenue generated from the sale of retail bags, will support educational opportunities for Lycoming students to study and research in the developing world. Students from all majors will have the opportunity to learn the science of growing coffee while designing and implementing community and economic development projects relevant to their major. The Cultivation to Cup (C2C) network was developed by Steven Madigosky of Widener University and John Sacharok of Golden Valley Farms, a local coffee importer and roaster. The program supports college student service projects that help produce organic, sustainable coffee grown throughout Central and South America. Their mission is to facilitate the transition from hard pan nutrient poor sun farms to organic certified shade-grown, biosphere-friendly coffee fincas. College students and faculty work closely with rural farmers to ensure that coffee grows organically under the canopy of shade trees, preserving and restoring natural habitats. Golden Valley Farms Coffee Roasters is a family-owned and operated artisan coffee roaster. With over 30 years of experience in coffee sales, national distribution, and branding, their roots in the coffee industry run deep. They roast a large selection of organic, shade-grown, bird-friendly and fair-trade coffees. Their line of teas are certified organic and fair trade. They are one of the few Triple Certified Coffee Roasters in The United States and provide world-class hot beverage solutions for small private label retail programs to large scale food service customers.